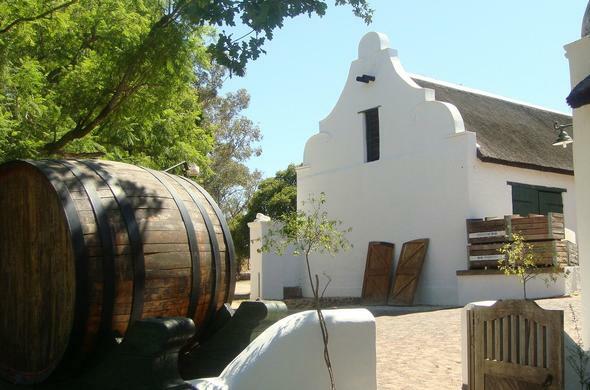 A holiday in the Cape Winelands is a journey through the history of wine making in South Africa Discover the exquisiteness of the Cape Winelands and satisfy your inner wine connoisseur on a little getaway. Embark on a tour of the farm that includes a visit to the cellars, the vineyards and to sample the award-winning wine produced at the farms. From Chardonnay, Shiraz, Sauvignon Blanc, Merlot and Cabernet Sauvignon, you will certainly find something that caters to your palate. Stay in cosy and luxurious accommodation offered at country hotels in the Cape Winelands the overlooks the stunning vineyards and countryside. Apart from sampling delicious wine and enjoying the lovely wine pairings, there are many other attractions in the area with wine tasting being the main. 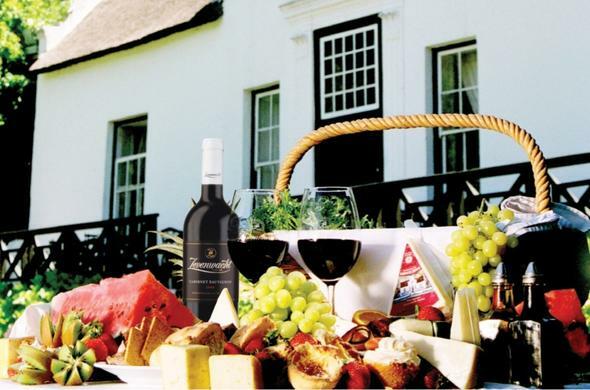 Auberge Rozendal Experience life on a wine farm - a must for any wine lover. 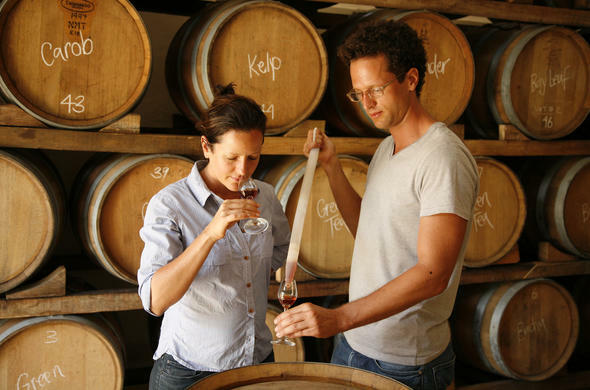 You can explore the surrounding wine farms and cheeseries, between the Stellenbosch Mountains and Simonsberg - once you have explored this wonderful vineyards produce. 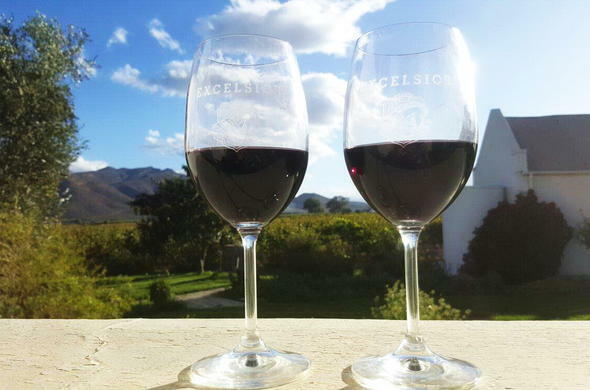 Excelsior Manor Situated in the Breede River Valley, this wine farm produces Sauvignon Blanc, Chardonnay, Shiraz, Merlot and Cabernet Sauvignon, which you can have served every day of your stay at this 4 star manor. Oude Wellington Cellar One of the first private cellars in Wellington, it offers accommodation on a working wine and brandy estate. The motto of 'we wine and dine and love company' best describes the way of life for the hosts of this hotel. Zewenwacht Wine Estate situated on the Stellenbosch Wine Route, offers cellar and vinyard tours and superb wine tasting. 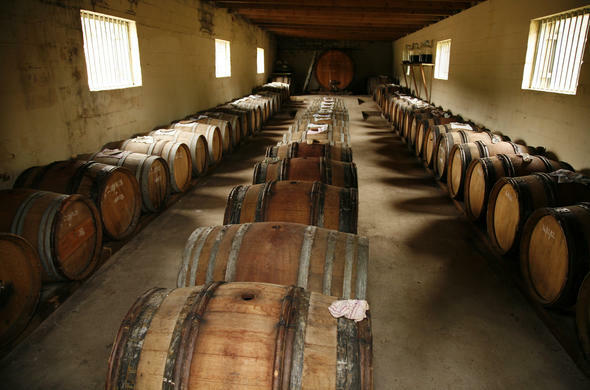 And all on an award-winning, world famous Cape wine farm. For good measure there is a cheesery and a chefs school. 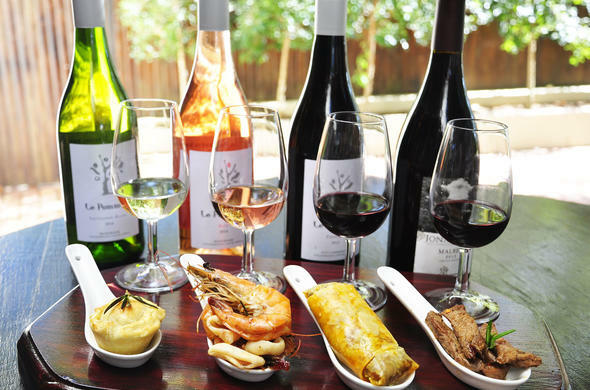 Le Pommier Wine Estate Dating back to the 17th century, this estate offers luxurious accommodation with an authentic wine cultural experience captured through cellar tours, picnics, vineyard tours, and wine tastings of the renowned Le Pommier Wines.